More than a million systems were reportedly inflected between June and November, 2018, before the malware was discovered. Dubbed Operation ShadowHammer, the attack was apparently targeted at 600 specific computers, whose MAC addresses were coded in. Artificial intelligence clearly needs more schooling. In case its humanoid robots weren't creepy enough, Boston Dynamics has acquired Kinema Systems, a Silicon Valley startup that uses 3D vision systems to apply "deep learning" technologies to unload palettes and perform other order-picking duties. The race between Intel and AMD continues apace. Intel last week unveiled the Xeon SP Platinum 9200, its answer to arch-rival AMD's 32-core Epyc server-class processor. At the high-end, the Platinum chip doubles Intel's previous core count of 28 and can address up to 4.5TB of DDR4 memory. In the perpetual quest to build "a better mousetrap," engineers at MIT and NASA have developed a new type of airplane wing that they say can reconfigure its shape to adjust aerodynamics based on changing conditions or the needs of the aircraft. 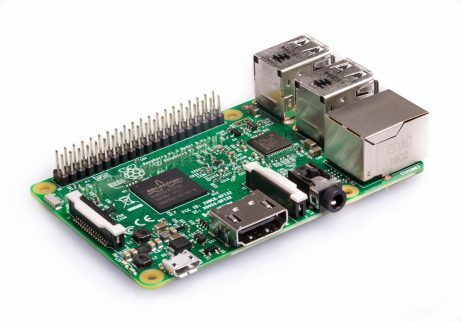 Hard as it might be to believe, SUSE Linux claims that three companies have deployed its SUSE Linux Enterprise Server on Raspberry Pi 3, the latest incarnation of the popular development platform that apparently has set its sights on industry.